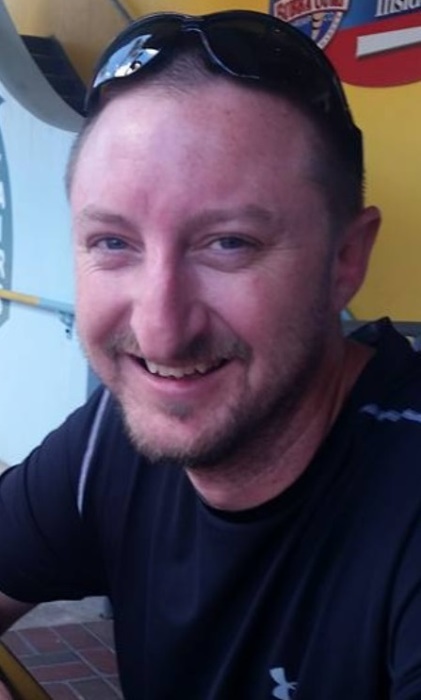 Cory Shane Jarrett, 37, died Tuesday morning April 9, 2019, in IU Health Ball Memorial Hospital, Muncie, from injuries sustained in a motorcycle accident. Cory was born in Marion, the son of Rex Jarrett & Christine Holloway. Cory “MF” Jarrett was known to many as a special friend, a prankster, a great pool player, and golfer. He was someone you either loved or couldn’t stand because of his hilarious and sarcastic ways. He grew up loving the outdoors and enjoyed mushroom hunting, kayaking, camping, golfing, and most of all riding with his fiancée and tribe. Cory loved feeling free with the wind in his face and the sun on his back and he loved his “tribe”. He was always quick to lend a hand to his friends; be it working on someone’s vehicle, helping with a construction project, or giving brutally honest advice. He was known for his opinions, honesty, and sarcasm and was always able to make so many people laugh and smile. At the local tavern and among his tribe, he was known as the “World’s Biggest Lighter Thief”. Cory also enjoyed golfing with his best friend, Sean Whiteley. He wasn’t always the easiest person to get to know, rarely showing his soft side through words; his feelings were expressed through action. He was quick to help all of his friends and was always there for those that needed him. He loved his friends, his tribe, and his family. He may not have always said it, but he definitely had his way of showing it. Survivors include his fiancée: Kendra Janney, Upland; parents Rex (Linda) Jarrett, Summitville and Christine Holloway, Marion; a brother: Shawn (Suzy) Jarrett, Summitville; sister: Summer Jarrett, Gas City; grandfathers: John Holloway, Marion; and Ronald Jarrett, Upland; a niece: Kayla Kindle; a nephew: Tyler Kindle; aunts and uncles: Robert (Patty) Jarrett, Upland; Rick (Jeanine) Jarrett, Upland; Carol (Richard) Harrell, Upland; Jim Jarrett, North Carolina; Roxann Holloway, Marion; Larry (Pam) Holloway, Marion; and Terry (Kenna) Holloway, Gas City; special friends: Sean Whiteley; Katrina Lewis; Angie Lennen; Ty Dailey; David Lakos; and Luke Collins. Cory is loved and will be missed by so many. May you ride free forever on that endless highway, until we meet again. He was preceded in death by his grandmothers: Molly Holloway and Christena Jarrett. Arrangements were entrusted to the Jones-Smith Chapel of Armes-Hunt Funeral Home & Cremation Services, 259 N. Main St., Upland, Indiana where a visitation will be held from 4-8pm on Friday, April 12, 2019 and from 1-3 pm on Saturday, April 13, 2019. The funeral service will follow at 3:00pm on Saturday with Rev. David Morris officiating. Memorial contributions may be made to the family in care of Armes-Hunt Funeral Home to help defray funeral expenses.